for teachers for leading a workshop at VI. MEET SHARE DANCE integrated dance workshop festival, held in Berlin. Application deadline January 22, 2017. 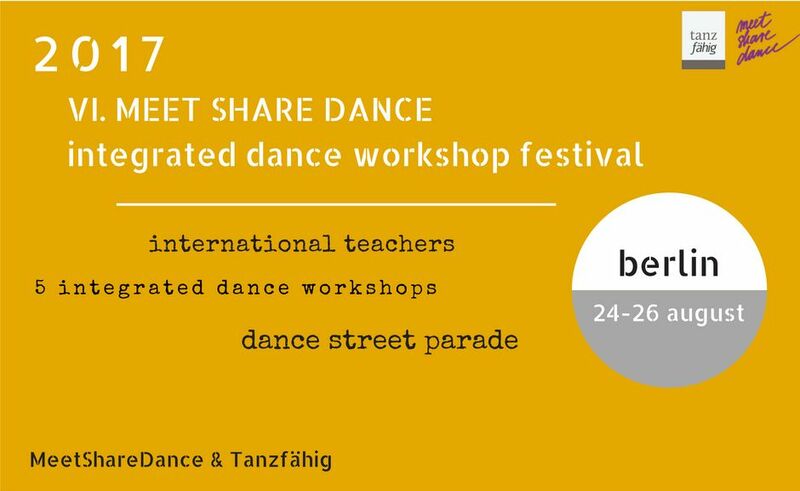 This entry was posted in 2017 - Berlin and tagged berlin dance, contemporary, dance festival, dance teacher, dance workshop, festival meet share dance, integrated dance, international, Tanzfähig, ufer studios. ..and we are dancing again!! Madrid connection Berlin in 2017. 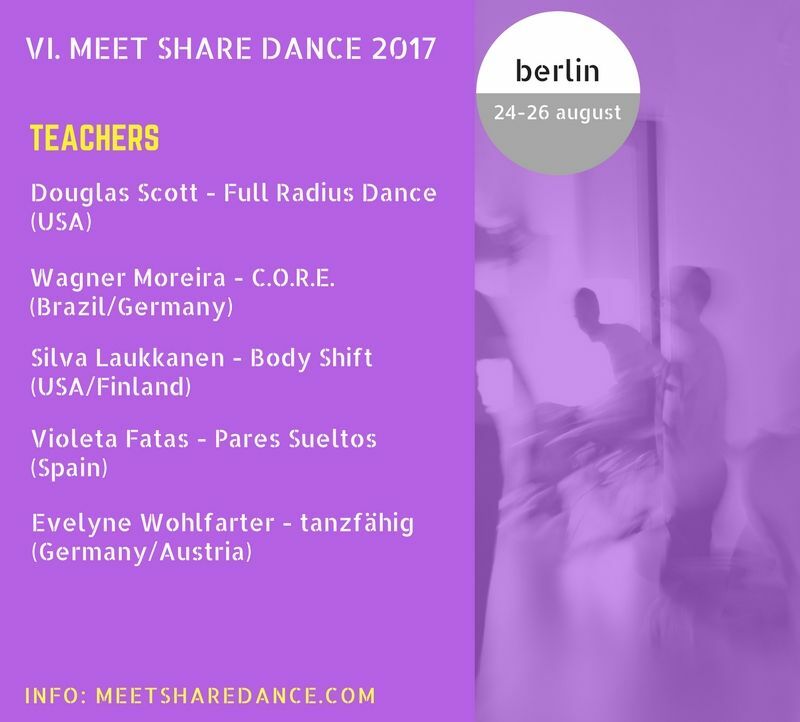 MeetShareDance Association partnering tanzfähig Berlin. The festival will be held at UFER Studios . 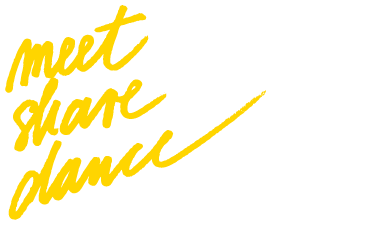 This entry was posted in 2017 - Berlin, Dance News and tagged berlin, berlin dance, dance workshops, festival danza integrada, integrated dance, integrated dance festival, meet share dance, Tanzfähig, ufer studios.